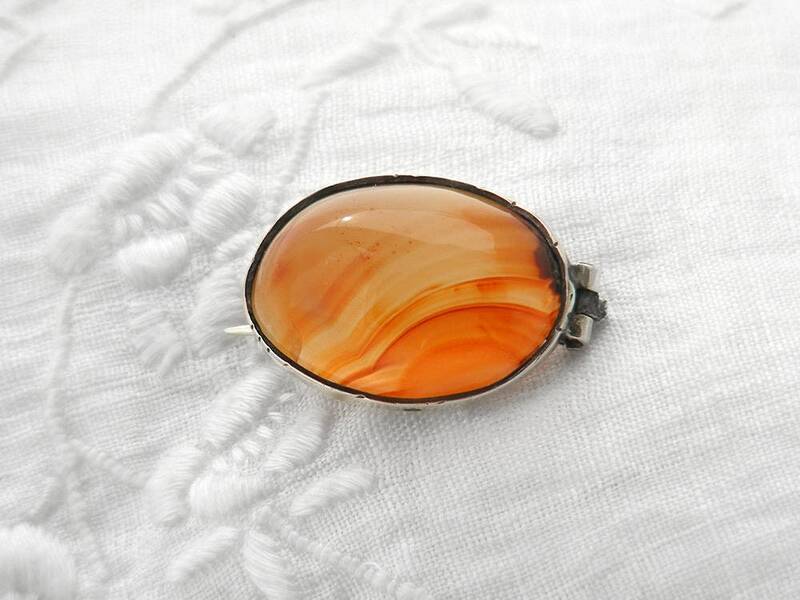 A small and exquisite carnelian and sterling silver lace pin from the Edwardian era. 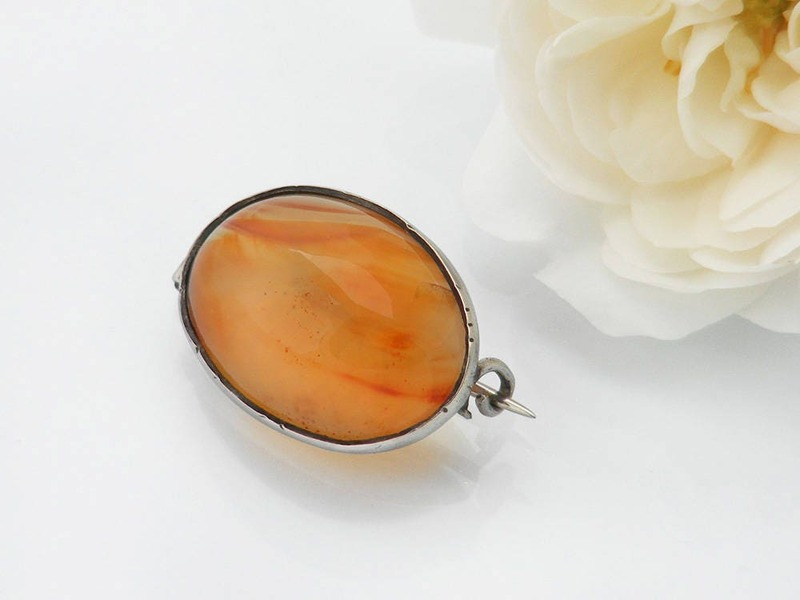 The glossy and richly colored cabochon has gorgeous inclusions ranging from palest apricot to deep fire orange. 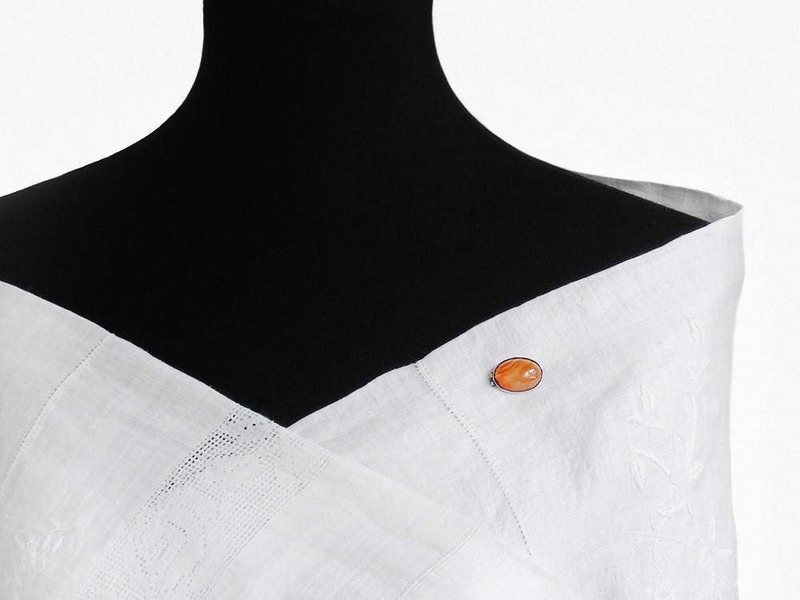 Beautiful pinned to a jacket lapel. There are no silver stamps at all, the brooch bezel is testing as sterling silver and is guaranteed as such. The back has a simple C-clasp with and tube hinge. 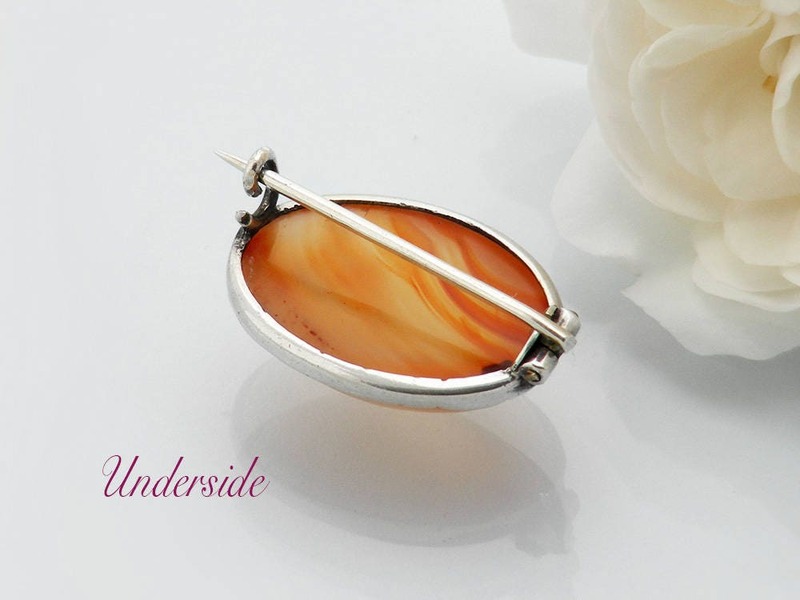 The agate stone is translucent. Size: 20 x 15mm or .8 x .6 inches. Shown on a life size torso in image #3. Very, very good. No chips or cracks to the stone. Nice patina to the silver and the pin is straight and very sharp. Well made, typically understated... a charming Edwardian brooch that would give a lovely pop of color to a jacket lapel.